"The world is against me," he said with a sigh. 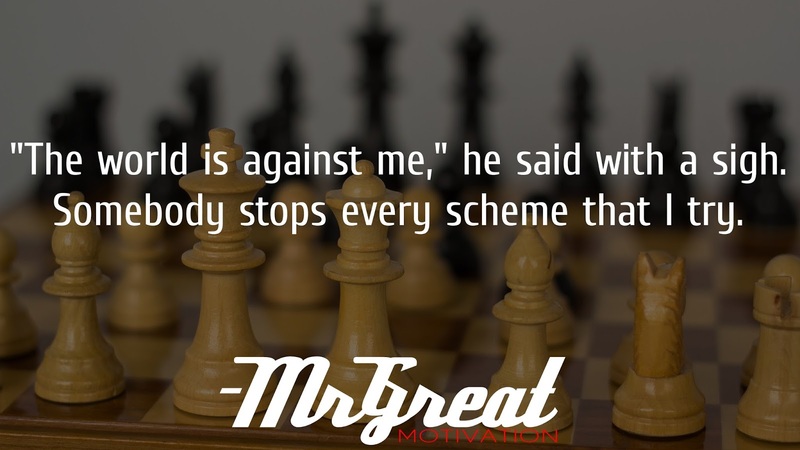 "Somebody stops every scheme that I try. I don't get a chance. Oh, the world is unfair! The world is determined to keep him down low." And he got to the top. 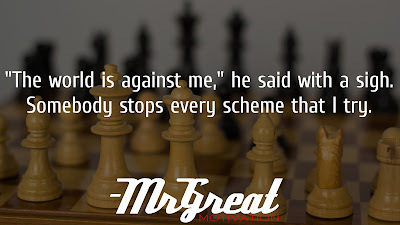 Was the world against him?" And I'm asking you now, was the world against them?"